I give these essential tips to the parents and coaches when they sign up their kids for my instructional lessons. Many will tell me later they read the tips and have been working on implementing them with their own behavior and have seen increased level of play from their children. 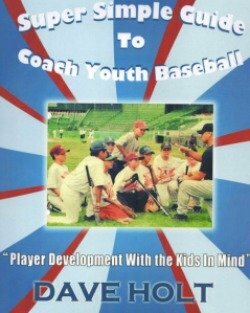 If you want the best experience and enjoyment for your kids from youth baseball then try them yourselves! Bleacher Bums: Do not coach your child during competition. 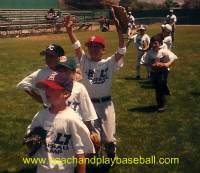 Coaching from the bleachers will make your child feel more stress and give them too much to think about. A mom told me last week, 'My child hits really good in practice, but really struggles during the games. The coaches all 'gang up' on him and pummel him with instruction after every pitch. He gets all flustered and upset with all the confusing hitting tips and over-coaching." It's called overload=too much mind clutter in the hitter's head. NOTE: Coaches make it clear that parent's coaching from the bleachers is a no-no...and is very harmful to the child's chance of success. One of the Worst Things to do to Your Kid on the Ballfiled. 2). Bunts & Walks Win Games But at What Cost? Bunting and walks are part of baseball but under age 14 they should be avoided as much as possible. Hitters need to swing-it as much as possible in order to develop properly. Unless they square up on the ball consistently they will not have sustained longevity and enjoyment in the game. Help foster a climate of aggressive bat swinging and not bunting and looking for walks. Do not do the ‘postgame analysis’ on the ride home. Give the players some breathing room…time to cool down from the game. Find something positive to say. Baseball is full of opportunities to fail, strikeouts, bad throws, errors, and bad stuff—it’s going to happen to even major leaguers. Refrain from making your baseball’ers go through a 30 minute ‘time-out’ on the way home. Hitters need to be aggressive. If the adults verbally ‘blast’ them every time they swing at a high one or low one the kids will start hitting defensively and its game over. Praise the kids for good, aggressive swings regardless of the result or location of the pitch. Batting eyes will come later. Look for the rest of the list next issue. 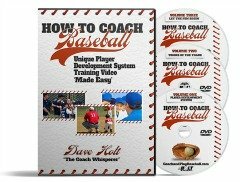 Coach and Play Baseball YouTube Channel Unique Player Development Strategies for local organizations.